Potion Blue Cadet is a new masculine scent part of the Potion fragrances collection by Dsquared². The fragrance is a flanker to 2011's Potion for Men. To front the advertising campaign of the new scent, the brand enlists once more Brazilian male model Diego Miguel, who also appeared in Potion's first advertisements. 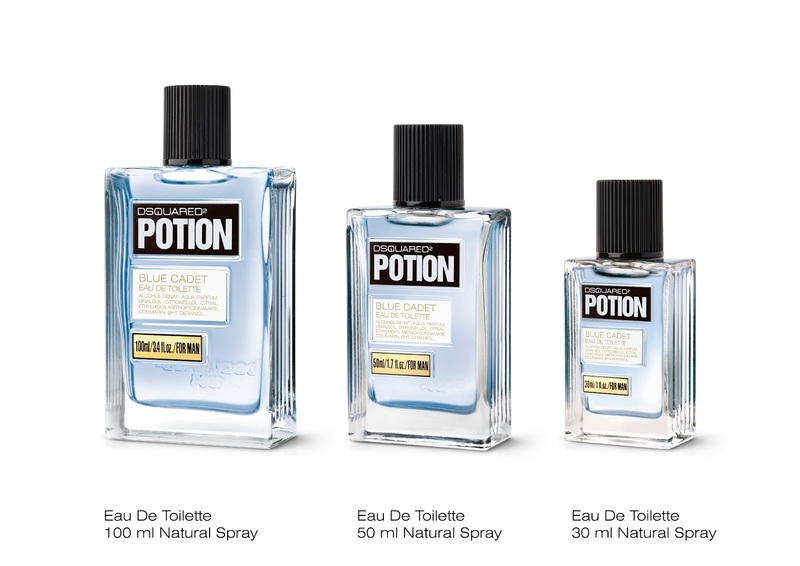 Potion Blue Cadet will be available as 30 (€38), 50 (€52) and 100 (€71) ml EDT, in an outer carton in blue, with a fine texture.